Two police officers in Houston, Texas, were shot multiple times during a confrontation with two suspected burglars. One suspect is dead, but the other evaded law enforcement even after a temporary lockdown of the Stafford neighborhood. A manhunt has been suspended, but during a late Tuesday afternoon press conference, Houston Police Chief Art Acevedo asked residents to call 911 if they see anything out of the ordinary. 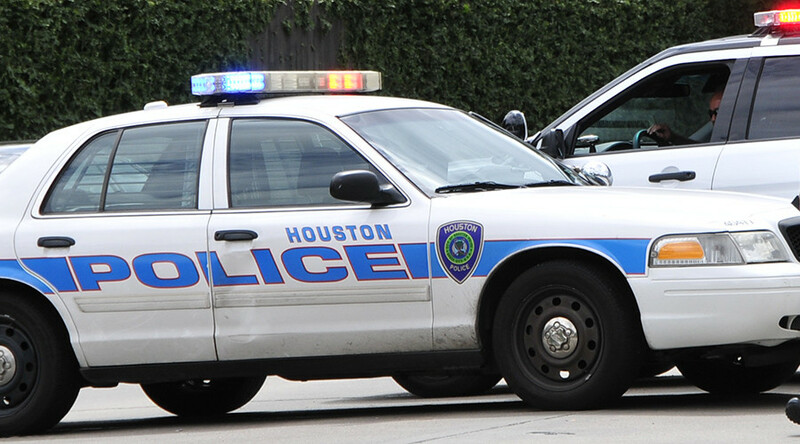 The police officers were shot when responding to a burglary in progress in Stafford, a residential neighborhood of southwest Houston on Tuesday. Police responded to the report of a door ajar in a backyard shed. When police arrived, one suspect – a Latino male – came out of the shed and opened fire at police. Officers returned fire and killed the suspect. A second suspect remains at large. Dozens of HPD officers, SWAT and K9 units swarmed Sterlingame Drive in Stafford, a community in Greater Houston. A police helicopter circled the area. "The suspect at large is considered armed and dangerous," Chief Acevedo said. "Someone who is willing to shoot and try to kill two officers in broad daylight over a property crime is someone who is a threat to the community." Police told residents to keep their windows and doors locked. Acevedo initially said police believed the suspect was still hiding in the neighborhood, but during a later news conference announcing the suspension of the search, he insisted that the suspect was not in the area and had not blended in. The suspect on the loose was described as armed and dangerous, wearing dark clothing and a blue bandanna. Three schools were on lockdown: Gross Elementary; Valley West Elementary; and Welch Middle School. Brays campus of the Houston Community College was also on lockdown as a precaution. In a press briefing outside Memorial Herman Hospital, Mayor Sylvester Turner identified the two shot police officers as Ronnie Cortez and Jose Munoz. Cortez, a 24-year-veteran, was shot multiple times and is in critical condition, with a bullet near his spine. Officer Jose Munoz, a 10-year veteran, was taken to Ben Taub Hospital with a gunshot wound to the leg and is in stable condition. Another bullet grazed him in the back. His injuries are not life-threatening, the mayor said.